If you’ve been reading Foodie Fresh for more than a hot second, you know that I love chocolate. I just adore it and always have. I licked all the chocolate icing off a cake my grandmother made when I was four years old. Then lied about it. I’m pretty sure that took me from general fondness for chocolate to chocolate addict. I believe in eating not just any chocolate, but good chocolate. Good chocolate, like Ghirardelli. Winding down at the end of the day with a really great piece of rich dark chocolate is one of my favorite ways to relax. High quality chocolate doesn’t need anything else, but I often find that specific pairings with chocolate actually intensifies or compliments its delicious flavor. Here are a few of my favorite way to enjoy dark chocolate. 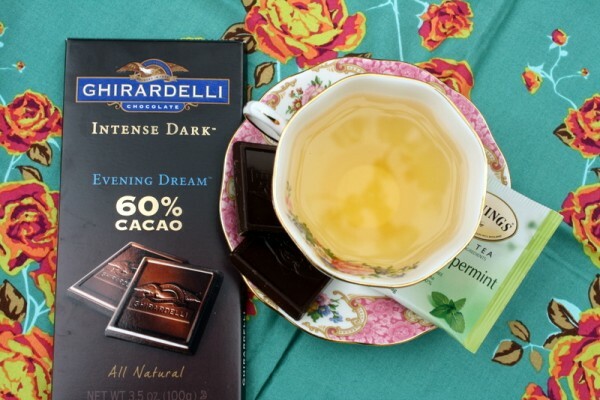 Ghirardelli’s Evening Dream is a less intense dark chocolate. It’s dark, but not too dark if you can’t handle the super bitter chocolate. Chocolate and mint are one of my favorite flavor combinations so I like to enjoy this 60% cacao chocolate with a cup of peppermint tea. 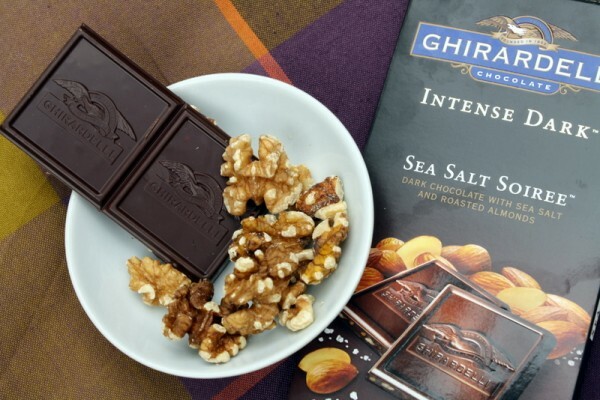 Hazelnut is such a luxurious nut, especially when paired with a rich dark chocolate. 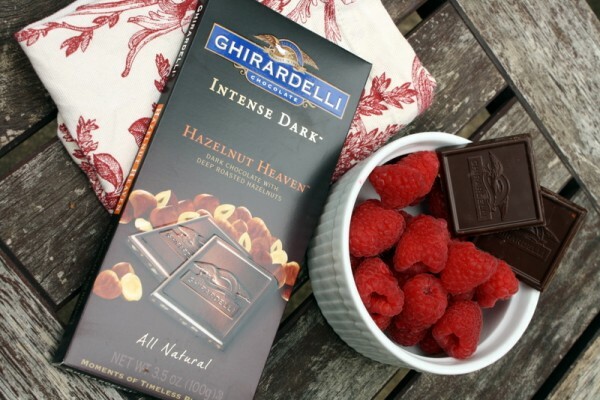 Raspberry is my favorite fruit to enjoy with chocolate and goes exceptionally well with this particular Ghirardelli bar. One of my very favorite varieties is the Sea Salt Soiree. If you love salty and sweet as much as I do, then you’ll flip over this chocolate. I like pairing it with unsalted walnuts since it’s already plenty salty as is. Pairing sweets with a healthy fat and fiber helps me to not experience the crash and burn of a sugar high, making any type of nut and chocolate a perfect pairing. Continuing with the salty and sweet theme, popcorn and Twilight Delight make a wonderful treat. 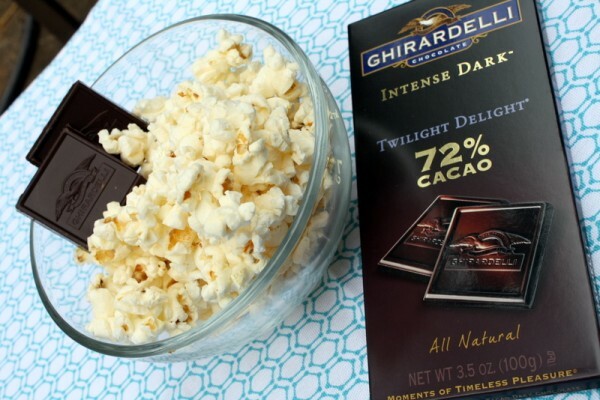 This 72% cacao chocolate is a little more intense than the 60% version, but pairing it with popcorn helps ease into its dark sultry flavor if its new to you. One of the most interesting chocolate bars I’ve ever tasted is the Cabernet Matinee with hints of blackberry and cabernet wine. The obvious choice for pairing is a Cabernet wine. 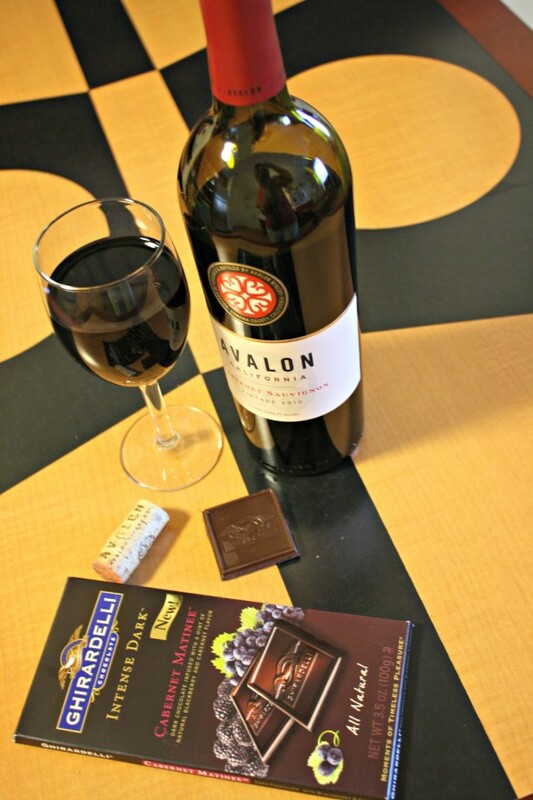 This Avalon Cabernet has hints of berries and chocolate so it paired perfectly with this bar — a wonderful after-dinner treat. 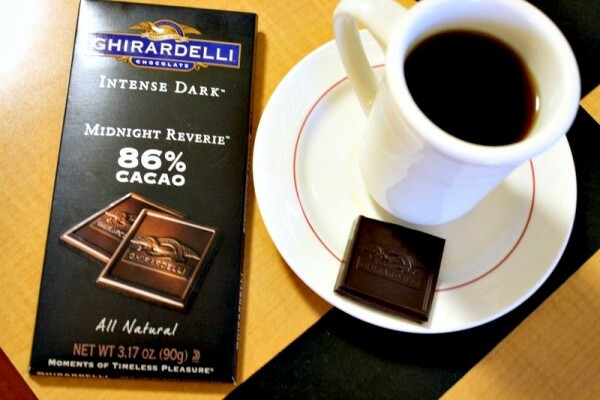 Then there’s the super dark Midnight Reverie with 86% cacao. Whoa. That’s dark. For something this rich and dark, with a subtle bitterness, nothing could pair better than a cup of coffee. I’ve recently given up consuming caffeine on a daily basis, but a good cup of decaf coffee with a luxurious piece of uber dark chocolate, is the perfect ending to a nice meal. 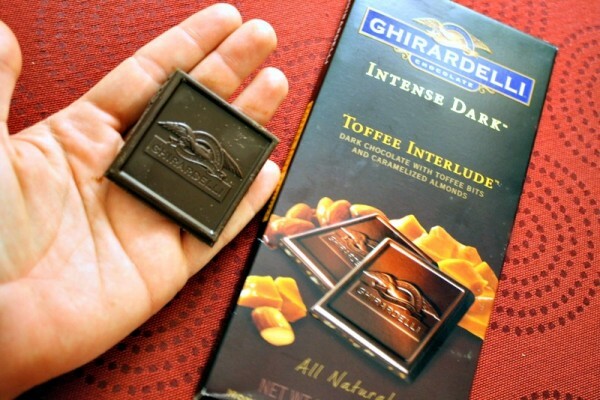 Last, but not least, the Toffee Interlude, otherwise known as my very favorite of the Ghirardelli variety. Just look at that descriptions — dark chocolate with toffee bits and caramelized almonds. I couldn’t get enough of this stuff and am now on the outlook for it at my local grocery store. It’s got that salty sweet thing going on that I love so much, and toffee just adds another level of deliciousness to my enjoyment. This chocolate is so good, I can’t think of a single thing I want to pair it with. It’s perfect all on its own.